The Grímsvötn volcano ash cloud has reached Iceland’s capital, according to images from a meteorological webcam in Reykjavík. 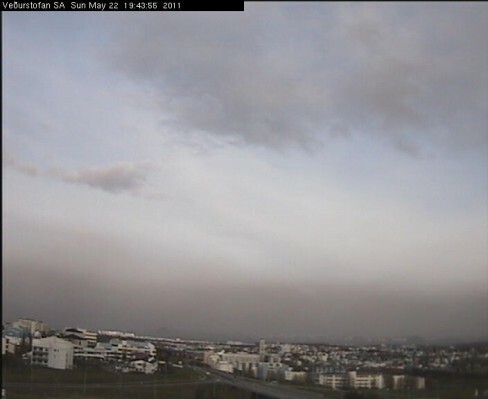 The images from the webcam, which is operated by Iceland’s Met Office, are taken 30 minutes apart and show the ash cloud approach the outskirts of the city. 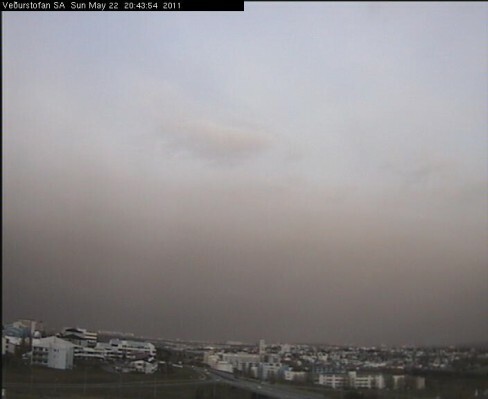 The ash cloud has grounded planes across Iceland and the Met Office has warned the southern part of the island to expect widespread ashfall over the next day. 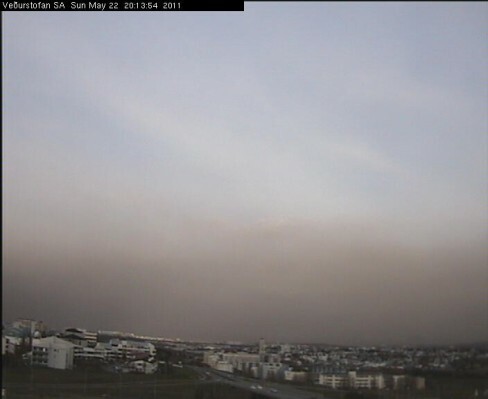 The approach of the ash cloud resulted in the closure of Keflavik International Airport in the capital and people living in the vicinity of the Grímsvötn volcano have reported that the ash turned the sky black today. Click here to see NASA satellite images of the eruption. 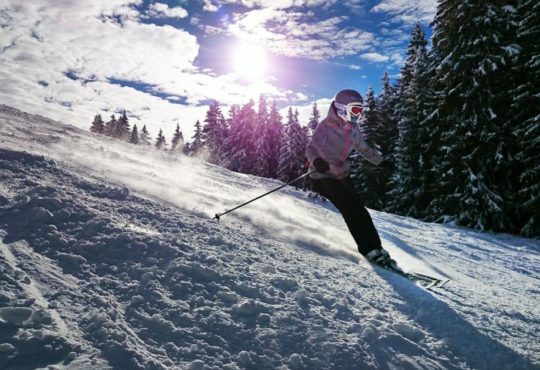 The latest metrological data reports that the ash cloud is expected to reach Northern Scotland by Tuesday and then pass through Western Europe by Thursday. However, at this point it is unclear what level of disruption the eruption will cause. 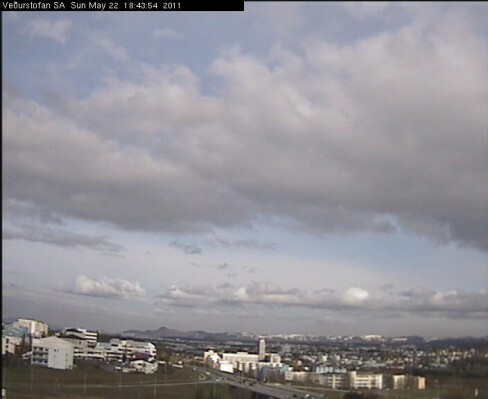 Grímsvötn is one of Iceland’s most active volcanoes and this is the most powerful eruption in 100 years. It is also one of Iceland’s most dangerous, an eruption in 1783 killed 20% of the country’s population. 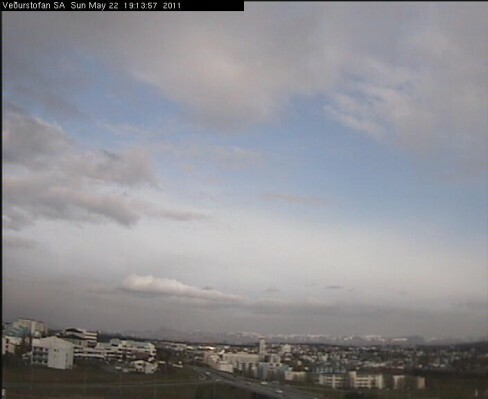 These images show the approach of the ash cloud between 6:45pm and 8:45pm on Sunday.